Tewantin Wedding, Helipad, Riverdeck Restaurant. All of the weddings that I photograph are awesome. 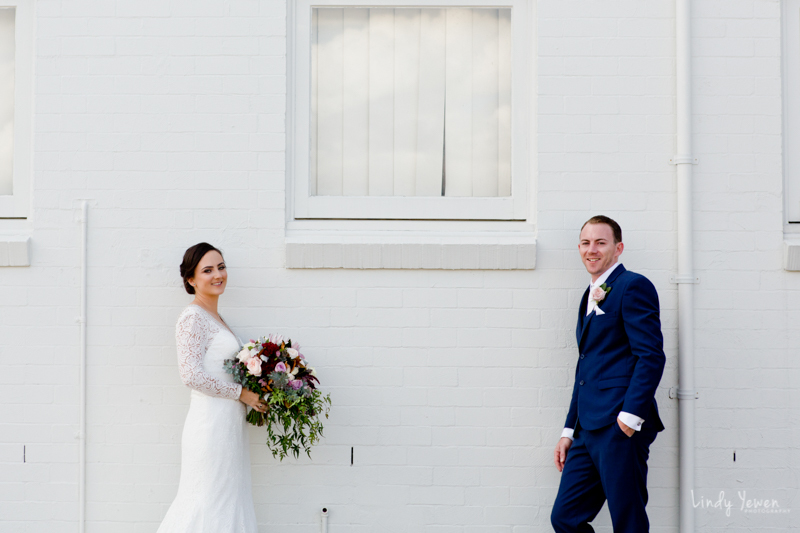 Then Toni married Daniel in Tewantin and their wedding was not only awesome but it was FREAKING awesome! So how was this wedding freaking awesome? Well it started with the girls getting ready in a private home in Noosaville, having their hair and makeup done by “Miss Nessi”. I then popped over to the boys getting ready at the “Ivory Palms Resort”. What happened next was the best, it’s called a first look and it totally set the day up to be perfect. Daniel arrived at the house where Toni was and walked up to the front door which Toni was standing behind. They reached out and took each others hands and the tears started to flow. Everyone is the room was a bawling mess, myself included. It was the most beautiful moment ever. After exchanging gifts we headed to Tewantin for our main photos with the bridal party. This was before the wedding ceremony and it was a brilliant idea as Toni and Daniel did not have to be taken away from the celebrations. I had scouted out some awesome spots a few days before and it was one of the most fun shoots I have ever done. Once we had finished up we headed to the Helipad at the Noosa Marina overlooking the stunning Noosa river for the wedding ceremony which was looking stunning thanks to the fabulous team at “First Class Functions”. 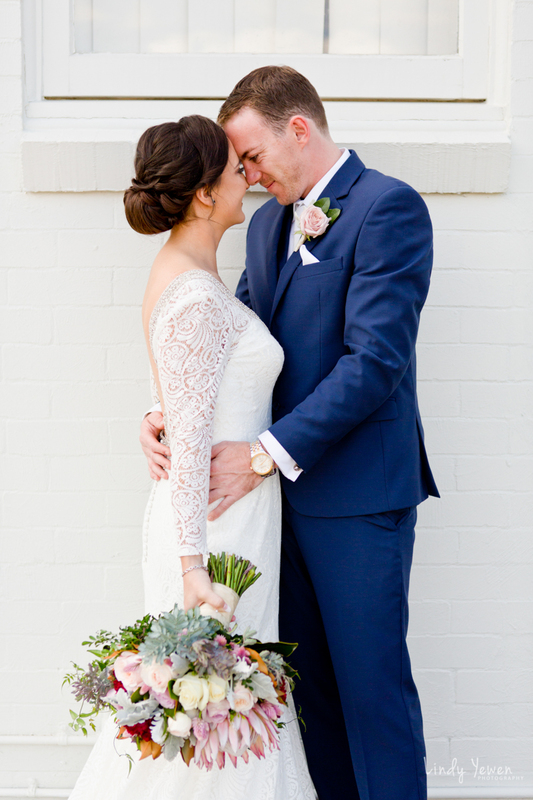 “Natalie Skye” conducted a beautiful wedding ceremony with lots of laughter and some teary moments too. After family photos we boarded the “Noosa Ferry” for a sunset cruise along the Noosa river. Wedding reception was held at the gorgeous “Riverdeck Restaurant” at the Noosa marina where everyone enjoyed a most delicious meal. (I had the salmon and it was seriously the best).